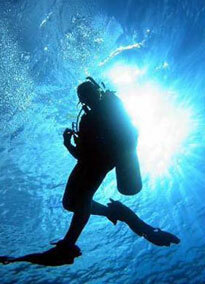 In this three month internship program you will be fully prepared for life as a Scuba Instructor. This all Inclusive program is very popular because of the high level of training in a real life environment. There is no role playing in our courses. This is hands on, working with real clients and students. Can there be a better place to spend three months learning the ins and outs of the dive business? In this course you’ll progress through your Advanced Open Water, Emergency First Response, Rescue Diver, Divemaster and then finally you will complete the Instructor Program. You’ll also gain the level of Emergency First Response Instructor and your Emergency Oxygen Instructor. You’ll return after the IE is over for more diving to obtain your PADI (MSDT) Master Scuba Diver Trainer level which will enable you to teach five specialties. Own your own dive equipment including a dive computer, Knife/divers tool, inflatable surface marker and whistle.